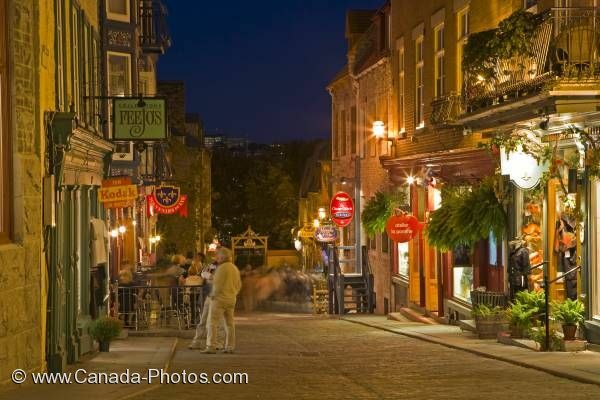 In UNESCO language, Old Quebec City is known as the "Historic District of Old Quebec". Vieux-Québec or Old Quebec, is a beautiful portion of the City which was founded in 1608 by Samuel de Champlain. Shops along Rue Sous le Fort, Quartier Petite Champlain in Old Quebec, Quebec City, Quebec, Canada. UNESCO World Heritage Site.